ln January of 2008, Louisiana began its refundable state tax credit designed to support quality child care. This credit provides businesses with a dollar for dollar credit up to $5,000 for donations to Child Care Resource and Referral (CCR&R) Agencies that are contracted by the Department of Education. On Track by 5 Alliance is such an agency. This credit is part of a package of refundable state tax credits called the School Readiness Tax Credit (SRTC). All businesses are eligible. A business is defined as any for-profit or not-for-profit entity and includes sole proprietors, partnerships, limited liability corporations and corporations. However, it does not include any individuals operating in a personal capacity. 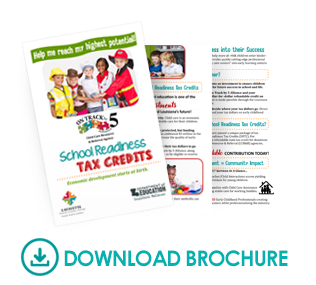 There are several School Readiness Tax Credits under the statute. This letter provides details regarding the refundable tax credit available to businesses that provide donations to Child Care Resource and Referral (CCR&R) Agencies, These are private agencies that contract with the Department of Education to provide important information and guidance to parents and child care providers and serve to help building quality child care. On Track by 5 Alliance has been awarded a contract to be a Child Care Resource and Referral Agency. The contract dates are July 1, 2018 to June 30, 2019. Please be aware that this is a Louisiana state tax credit, not a deduction. A tax credit reduces the taxes paid, dollar-for-dollar, in contrast to a tax deduction that only lowers table income. Furthermore, it is a refundable tax credit so that if the credit exceeds the business' tax burden, then the business can receive a check for the difference. Turn your tax liability into an investment to ensure children have a strong foundation for future success in school and life. possible through the Louisiana School Readiness Tax Credit. You have the power to decide where your tax dollars go. Direct the state of Louisiana to spend your tax dollars on early childhood care and education. 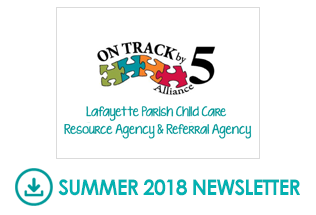 state tax credit for donations made to Louisiana Child Care Resource & Referral (CCR&R) agencies, such as On Track by 5 Alliance. 19% improvement of Teacher/Child Interactions scores yielding higher quality experiences for young children. Served over 1300 Families with Child Care Assistance (CCAP) providing stable care for working families. Trained over 1750 Early Childhood Professionals creating well-prepared educators while professionalizing the industry. to continue to increase the quality of early education. Businesses can direct where they want their tax dollars to go. - LA Statute R.S. 47:6107 allows On Track by 5 Alliance, along with six other CCR&Rs across the state, to be eligible to receive the funds. - School Readiness Tax Credits enable business to turn their tax liability into a investment to improve the quality of childhood experiences. 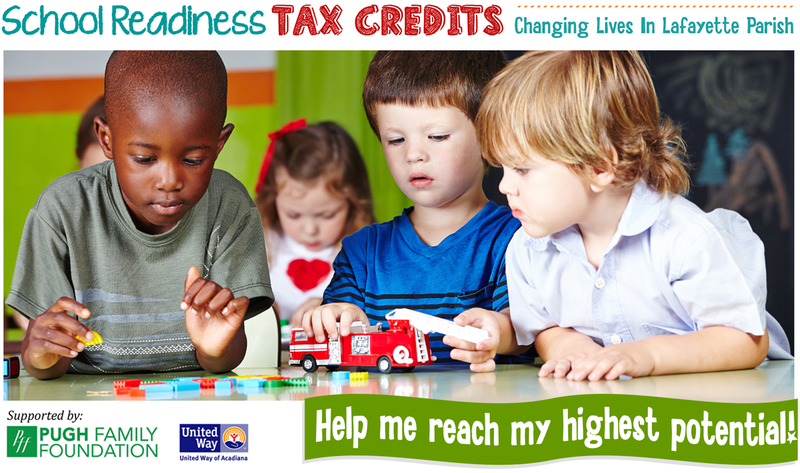 - For each LA Tax ID number, $5000 can be given in the name of School Readiness Tax Credits. A business with multiple LLCs under their umbrella can give $5000 per LLC.